Have had a blinder of a year with some good game taken. Below are some of my personal highlights for the year. 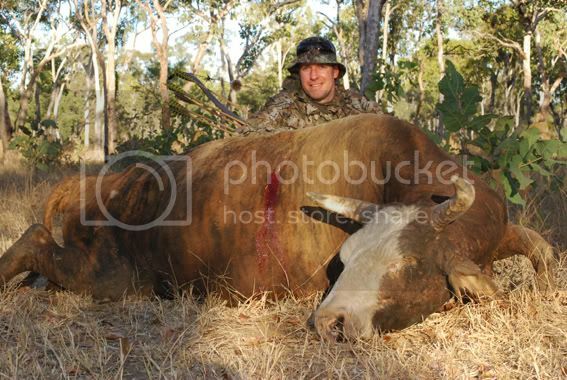 Only way to better 2008 will be a bigger boar, bull buff, fallow buck or maybe a red or sambar stag. It is going to be hectic but roll on 2009! Bow used was a Black Widow PSA III 61lb @ 28". Goldtip 75/95 and Carbon Xpress 350 shafts. Magnus 2 blades, SS Snuffers, Montecs, and Grizzly 190 were the broadheads used. 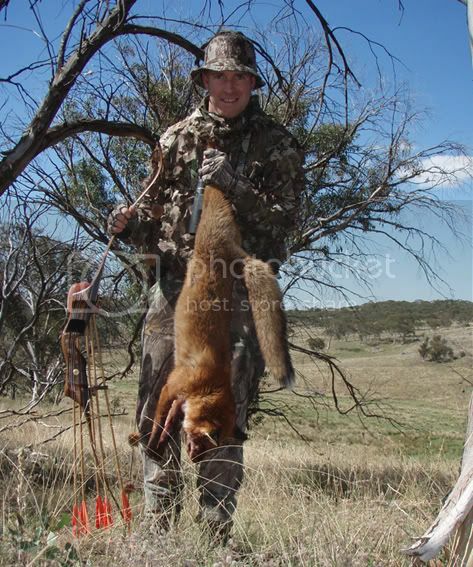 Called in this fox to under ten metres before a ss snuffer brought him undone. 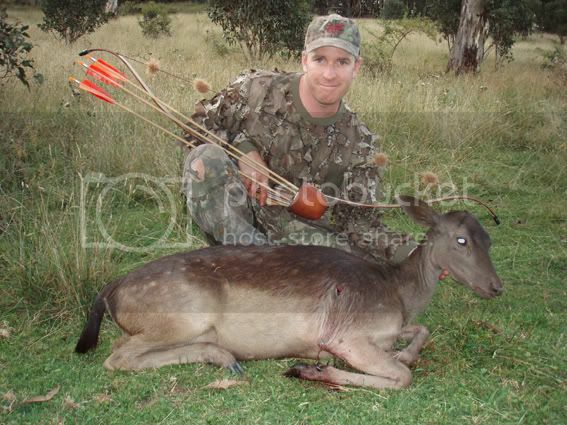 A nice fallow doe taken for skin and meat. Taken on the same day as the fox. 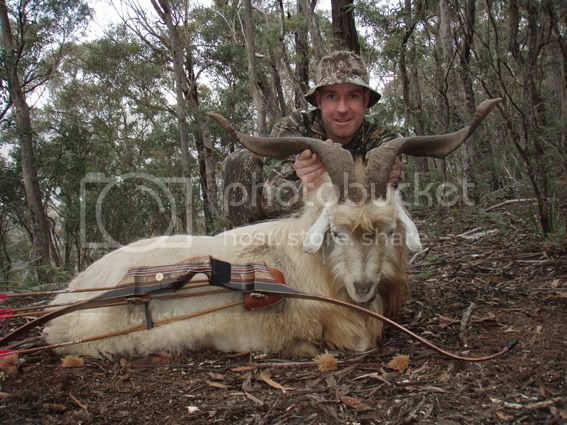 Couple of reasonable feral goats. 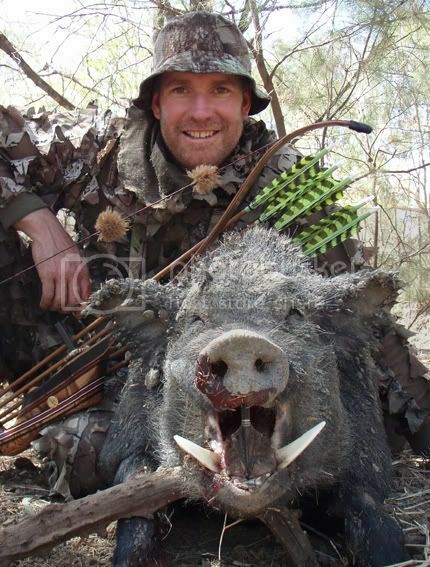 Nice solid boar taken while he slept in the Northern Territory. Scrub bull. One arrow kill and a pass through. 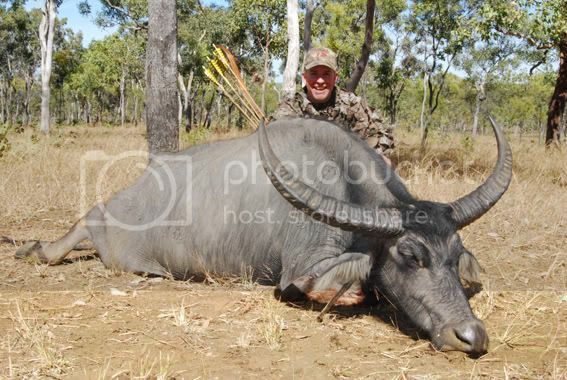 Buffalo cow and another one arrow kill. Re: 2008 - What a year! Looks like you had a banner year!!! congrats!! Very nice trophies there, Tom! 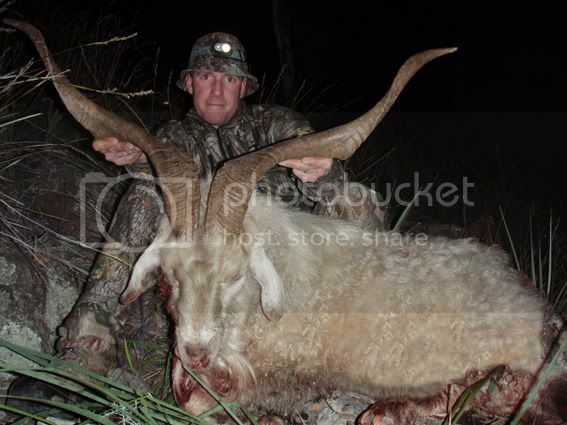 I can't wait to get over to Aus and chase some of them around! I'll be over there in September! Thanks for sharing mate! Wow, Tom. How about a story on the scrub bull and the buffalo, friend? Congratulations! I really need to get back to Oz! Congrats looks like you need a bigger frezzer. That is one mean looking pig. GREAT JOB! The buff and scrubber were taken on the same day. Bumped into a herd of buff less than 1km from camp. Got into seventeen metres on the old cow who was feeding with three others from the herd. She did sense I was there at one stage and there was a stand off of sorts, but fortunately she lost interest in me and resumed feeeding. One arrow did the job and she only made it seventy metres before she pulled up, got the wobbles and expired. Later that afternoon while my three mates were searching a seperate creek for pigs I snuck up on the lone, feeding, scrub bull. He spooked when I was at about ten metres,while waiting for the angle, but propped broadside at twenty. I had no cover or decent trees to hide behind if he decided to charge, but I let one go wanyway hitting him a little far back but the shot did enough damage to his vital gear that he was sick and down in forty metres. Arrow weight was 810 grains with 21% FOC.